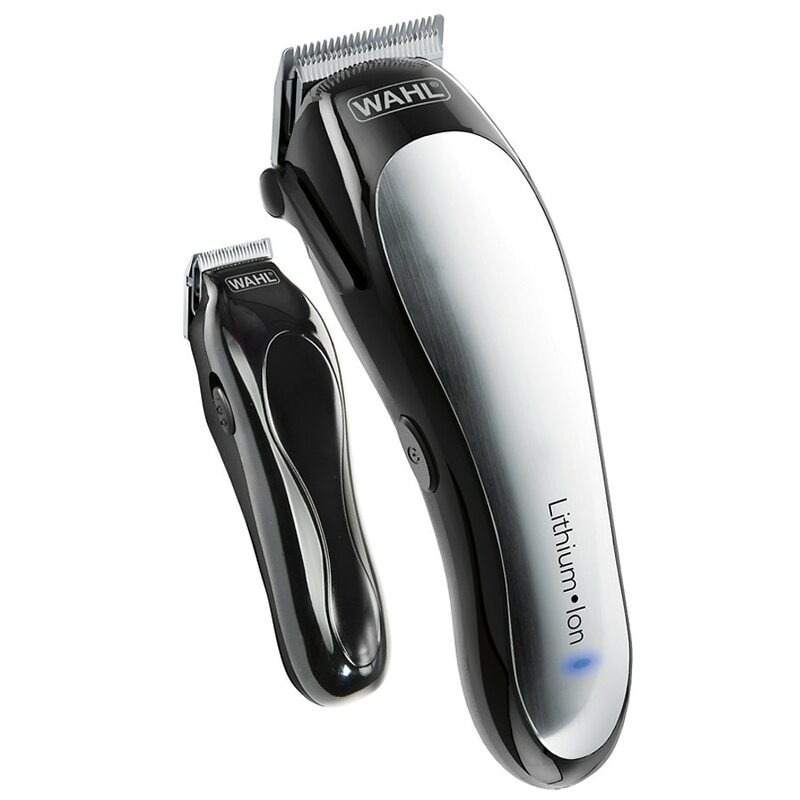 The Wahl Lithium Ion Clipper is Our Best Cordless Clipper. It offers: self-sharpening, high carbon steel blades that are precision ground to stay sharp longer, two times the run time (40 mins typical), a 15 minute quick charge that provides a 12 minute run time, easily cuts the thickest hair with 50% more power than standard Wahl electromagnetic motor clippers, and a LED light assures the tool is charging. All accessories fit neatly in a deluxe storage case. Includes: Multi-cut Clipper, Blade Guard, Detail Trimmer, Soft Storage Case, 2 Hair Clips, Barber Comb, Styling Comb, Cleaning Brush, Blade Oil, Scissors, Barber Cape, 14 Guide Combs, Left Ear Taper, Right Ear Taper, Eyebrow Guide, Ear Trim Guide, Full Color English & Spanish Instructions/Styling Guide.